I teach university writing and literature courses to millennial students. If they need to learn a new task, like making a mosaic or editing a video, they’re often teaching themselves how to do it. From hairstyles to math equations, there’s a YouTuber who shows them how it’s done. Our 6 year old recently launched his own channel featuring his reviews of favorite toys and books. He loves to read so choosing a title isn’t that difficult. The difference between a review and read-a-long, however, is more nuanced. But for his target audience, kindergartners, flipping through a few pages may be the best way to persuade younger viewers who love experiencing the book as he’s describing it. What books you do read with little ones? Which ones do you remember being the titles that you loved as a child? 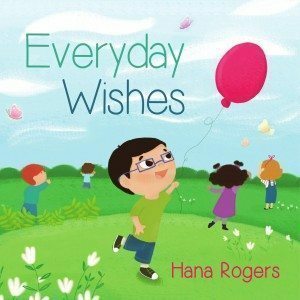 Hana Rogers is in throes of planning the first set of school visits for Everyday Wishes. Hana Rogers is also me. Yes, in my latest foray in writing, children’s books, I’ve developed an alter ego. A couple of reasons, most of them common to other pen name users. Mohanalakshmi Rajakumar is the name I was given and one I’ve grown into. It’s got 6 letter As in it. Great for playing Scrabble or Wheel of Fortune but probably a bit off putting if you’re in my target age range (4-6) for this title. Moha_Doha is the identity that coalesced during the first decade of my Arabian adventures. She is the alias that I use on social media. Moha has eclipsed my in real life name for those I know online. “Are you MohaDoha?” A woman who moved to Qatar recently asked me in a cafe. I’m embracing Hana as the multicultural element of my first name. The number of the grains of sand on the hood of my car after a dust storm is probably close to the number of times I’ve said “Hanah, like MoHanah.” Rogers is the phonetic equivalent of “Raja” a familiar Indian name that many people assume is my last name. So you see, this isn’t a pseudonym. She’s been here inside me all along, residing in the place I’ve been storing up tales to tell children. What are your alternate identities? I grew up going to the book mobile during the week and the library on the weekends. For me books were a constant source of pleasure and a free membership an economical marvel. Now that I’m an expat parent, we stock books for our sons at home. Many nights we need a deft hand to mix in new titles among the stalwart favorites. The more I read to little ones snuggled on my lap, the more I wanted to write for little ones everywhere. That was the lab in which Everyday Wishes was born. The steps to writing a picture book are deceptively simple. Come up with a story line. You want to map out your text and ideal images on a set of double page spreads at least 24 pages long. Get your text onto the page with a graphic designer. Determining your book size and font style is also another multi-stage process. Upload to your outlets of choice (Createspace and Kindle Direct Publishing are mine). Tell the world, get reviews, celebrate. I’m very excited to share with the making of a picture book because this is the first introduction to MJ’s world with his friends. You’ll meet his mom and classmates in this episode. And there will be many more adventures to come! Let me know if you are interested in receiving a review copy or would like to arrange a school visit. I’m planning a few additional languages so stay tuned. What stories do you think children need to hear?